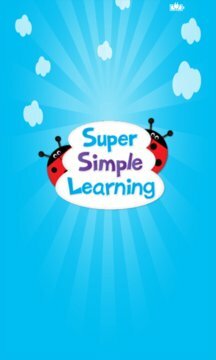 Super Simple Learning is a one of the best way you can start teaching your toddler simple skills like counting, spelling, etc. These videos are so beautifully designed that they will grab all the attention of your child instantly. ** Ability to Maintain a Favorite Videos Playlist. Super Simple Learning began in the classroom when, as teachers, we noticed that even the most basic children's songs were sometimes too difficult in many traditional recordings. We saw that when songs were too fast, too lyrically complex, or too difficult to follow through gesture and dance, many young learners would simply tune out. So, we began recording our own songs...originals and classics made simple for young learners. We focused on creating songs that are appropriately paced, lyrically simple, full of space for movement, easily taught through gesture, and FUN! The songs were such a big hit in our classrooms in Tokyo, Japan, that soon other teachers around the country were asking for the songs. Soon after that we made our first CD, Super Simple Songs, and found that it was just the thing that people all over the world were looking for. We're thrilled to learn that the same simple features that make the songs attractive to young English learners around the world also make the songs attractive to young emerging speakers everywhere (native English speaking toddlers, special needs students, and children with speech and hearing difficulties). Trial Version have all the feature of Paid version but will also contains ads. This is not an Official Super Simple Learning app.